With a holistic, whole brain approach to achieving potential, only the Striving Styles Personality System teaches you how to integrate all four functions of the brain with a single, easy-to-understand concept: the Squad. Unlike assessments that offer a one-dimensional perspective on an individual's personality, the SSPS operates on the notion that we have access to the talents, abilities and striving energies associated with each quadrant of our brain. Each quadrant performs a different role in our personality. While we are born hard-wired to use or favor one over the other three, our development lies in learning to use the capabilities of all quadrants. This insight allows you to shift the focus from strengths/weaknesses to developing the underutilized quadrants of your client's brain. 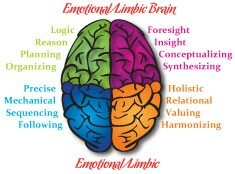 The Striving Styles Personality System personifies the different energies and functions of the brain with the Squad, consisting of four Styles. Just as our individual styles are iconic archetypes which are easy for your clients to grasp and use, the Squad is a simple concept, but one with profound impact. As a practitioner, the Squad allows you to go deeper with your assistance and analysis, enhancing the services you can offer. Clients will learn about the Predominant Striving Style that dominates the brain, as well as the three Associate Styles that all play distinct and important roles in personality and behavior. All of this rich insight and more can be yours as an SSPS Practitioner. Cast off the limitations imposed on you by the MBTI® and similar assessments. 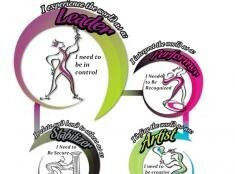 The Striving Style Squad is a revolutionary whole brain approach concerned with proper activation and use of all four quadrants of the brain. Often, we can neglect the development of our Associates, particularly if we do not value the attributes of the Associate, if our environment does not encourage or thwarts their development, or we are encouraged to over-use or rely upon on style or our Predominant Style alone. Because you're dealing with the entire brain, the work you accomplish with your client will be more permanent and sustainable, and you'll be able to offer more value than ever before. Tap into the kind of insight that can truly make a difference in performance and achieving potential. Become a SSPS Practitioner today, and put the Striving Styles Squad to work for your clients or organization.